Once a bride and groom set their wedding date, find a wedding venue, and start planning for their wedding, the first thing they look for is their wedding invitations. Wedding invitations are very important, they need to be elegant and beautiful for your guests to know that your wedding will be a unique event. 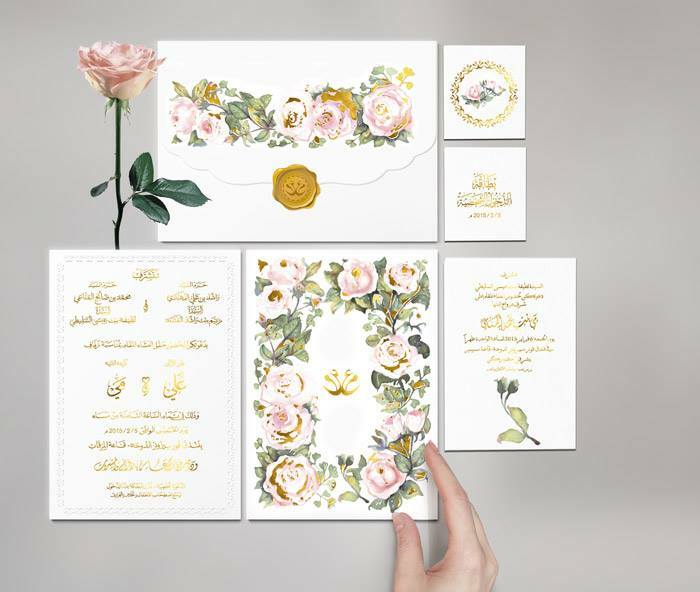 Whether you are looking for a luxurious over the top wedding card designs, or something simple, classic, and elegant, Dubai has hundreds of wedding invitations designers and suppliers for you to find the right invitation cards for your wedding. 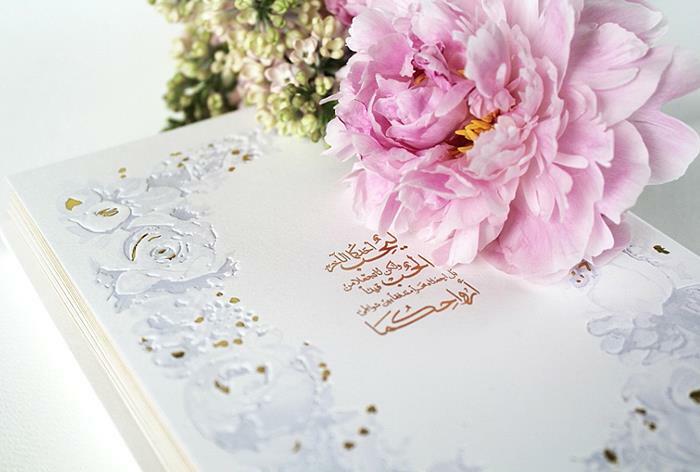 With the large amount of wedding invitation shops in Dubai, it could be difficult to know which place is the best to go to. This company is led by Louma Bardawil, from Lebanon, her passion for design, weddings & luxury led her to launch "Design by Louma", designing for a melting pot of brides from around the world. 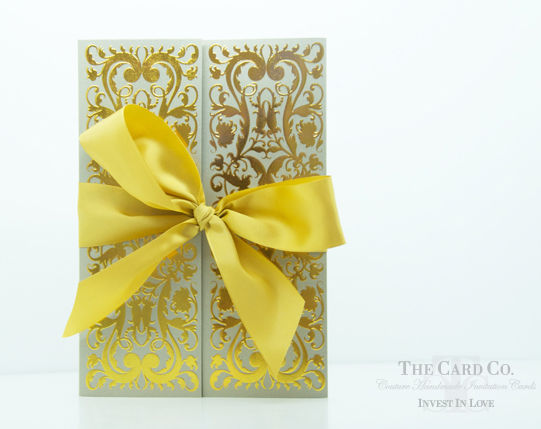 Design by Louma specializes in custom luxury wedding invitations that reflect the couple's personality. They provide uniquely personalized, custom event invitations, ready-to-order invitations, and "day of" stationery. 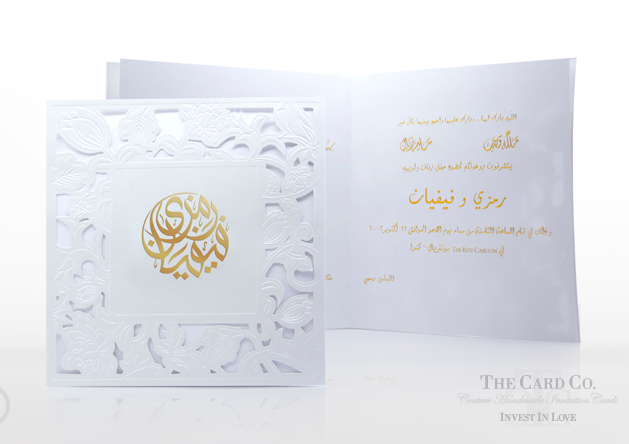 For more suppliers and designers of Wedding Invitations in Dubai, click here. 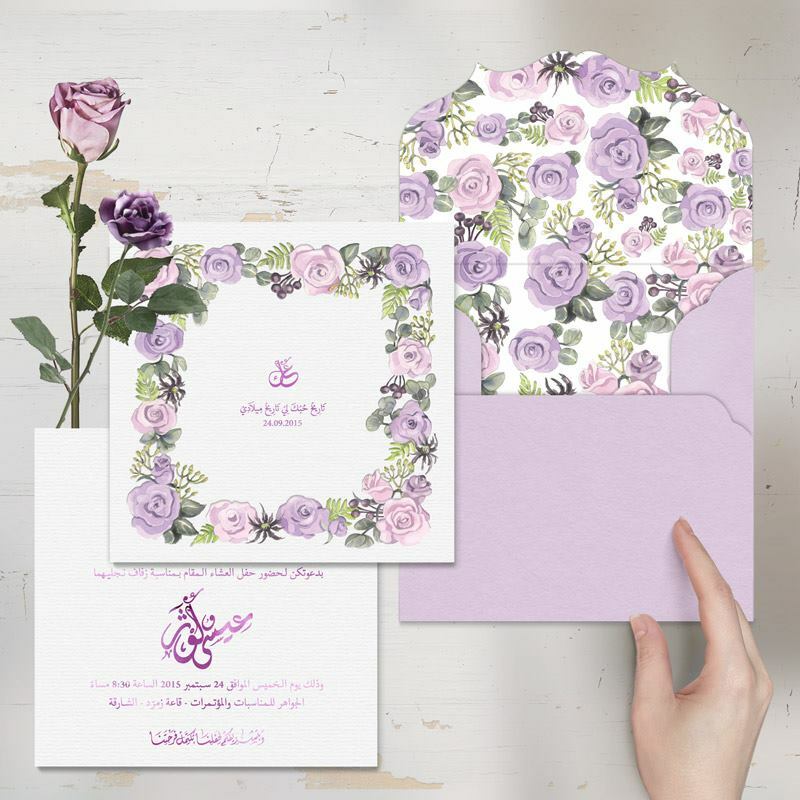 Created in 2011 out of passion for unique, handmade wedding invitations and stationery, The Card Co today are Dubai’s most trusted bespoke occasion stationery provider, offering an extensive collection of luxury wedding invitations and accessories to customers in the UAE and around the globe. The Card Co’s exclusive collections encapsulate the fusion of ancient and modern, with traditional calligraphy sitting alongside modern, clean design. The founder of this design studio, Mariam Bin Natoof, grew up designing and crafting with paper art. Her passion for graphics and paper prompted her to pursue a career as a designer after college graduation in 2002. Natoof is one of the first local designers for wedding invitations and is a trendsetter in the world of wedding stationery for this region, providing illustrative designs, modern cuts and unique packaging. Martha Stewart Weddings ME Magazine featured our work and listed us in the expert advice page. Stationery designer Ritu Patel currently resides in Dubai, United Arab Emirates. Ritu works with clients across the U.A.E. and worldwide, specializing in unique personal branding design, and bespoke wedding stationery. This talented lady established her company in 1998 while still at University in New Delhi, India. The company is all about unique designs, and promotes eco-chic, handmade recycled paper products. The handmade papers it uses to manufacture the stationery are primarily manufactured in villages in India. As the manufacturing process used is predominantly manual, this helps to sustain employment in these local communities. A wide range of bespoke wedding stationery can be designed by Vinati's Paper to meet the requirements of the happy couples.